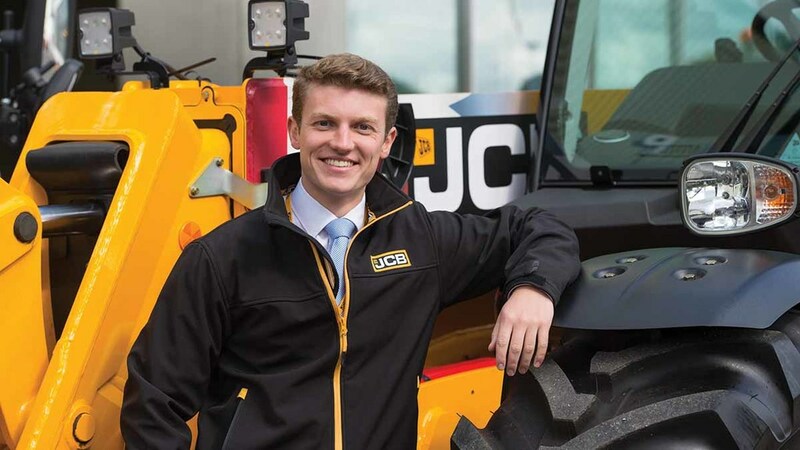 Farmers Guardian has joined forces with JCB to raise money for two very special causes. A unique JCB Loadall Agri Pro, built entirely by 68 of the manufacturer’s apprentices, will be sold at auction later this month and the money raised will be donated to the Louise Hartley Memorial Fund and the Royal Agricultural Benevolent Institution (RABI) to help individuals and families dealing with mental health problems. 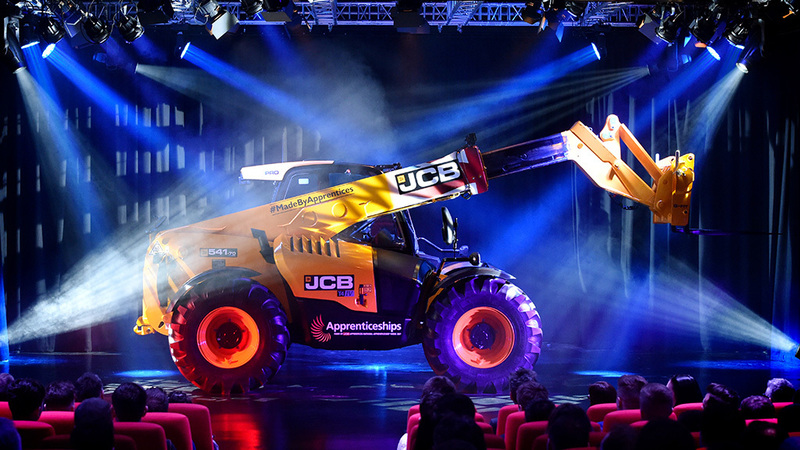 Under the guidance of Chris Morris, the manufacturer’s apprenticeship adviser, young people from JCB sites across the country played their part in building the bespoke 40th anniversary edition of the telescopic handler. The one-of-a-kind machine was first unveiled during National Apprenticeship Week in March this year to highlight the individuals working in the company’s apprenticeship programme and generate an interest in attracting new talent for the future. The six-month project saw the apprentices work across departments to manufacture the axles, gearbox, engine, hydraulics and cab, also choosing the colour scheme. Built at the company’s Staffordshire headquarters, the Loadall Agri Pro is JCB’s premium telescopic handler. It is also the industry’s first telescopic handler which combines the characteristics of powershift and hydrostatic drives. Designed to showcase the apprenticeship programme, it was always the intention to auction the machine to raise money for charity following a similar initiative in 2010 which saw the company raise £70,000 for Help for Heroes through the bespoke construction of the Union Jack 3CX Eco Backhoe Loader. The funds raised by the forthcoming auction will be given to the Louise Hartley Memorial Fund to facilitate scholarships supporting ambitious individuals who want to progress their farming career. It was an interest in mountain biking which led to George Shepherd pursuing a career in engineering. After completing a work placement in bike manufacturing, he studied a mechanical engineering degree at the University of Hull. 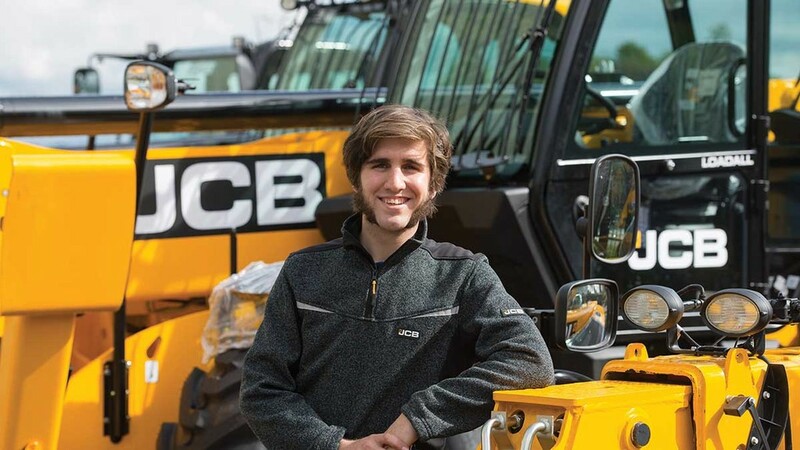 Then, having completed his degree, George applied for a graduate manufacturing apprenticeship at JCB. “I was looking for jobs in manufacturing and felt the company was the way to go,” says George, who is originally from Skipton. Applying in November last year via an online application form, George was then invited to attend an assessment day where there was a variety of team-based engineering activities followed by an interview. He was also asked to produce a 10-minute presentation on a manufacturing subject, for which he chose lean manufacturing. George began his 16-month apprenticeship in November last year. So far, he has completed four-month placements in manufacturing engineering and quality inspection, the latter of which he was offered a supervisory role, and he still has two more placements to go as part of the programme. During his manufacturing engineering placement he was responsible for creating build processes, standard operating procedures and documenting all tasks involved. But it was his involvement in building the bespoke Pro Loadall, a project entirely completed by apprentices, which has become a stand-out moment (see box). He says: “The build was outside of normal, manufacturing production so most was hand-built to spec. I coordinated the apprentices to do the right thing at the right time and generated a time plan of the build so we could build it in sequence. “I was also responsible for making sure the materials were delivered to the right people at the right time. George will graduate in January next year and hopes to work as a manufacturing and/or quality engineer before progressing into management. When asked what advice he would give to those thinking about applying for an apprenticeship, he is resolute in his answer. “There are so many opportunities which are offered in an apprenticeship, way more than you might think. “You realise you are actually far more capable than you think at completing tasks and you have to grab responsibility when you can. Will Bale comes from a family of dairy farmers, with most close and extended family members being employed in the dairy industry at one time or another. While studying A-level english literature and mathematics, Will completed a higher level diploma in engineering at the JCB Academy Sixth Form. Having recently finished a foundation degree with Sheffield Hallam University, he is now studying towards a full degree alongside his apprenticeship on a part-time, day release programme. “My decision to pursue an apprenticeship came from a desire to achieve,” he says. “Getting something useful done with my days is important to me, and the sense of getting the most out of my days was something I felt I would struggle to achieve attending university on an engineering course. Will secured a place on a higher apprenticeship at JCB in August 2015 and he is now into his third and final year on the scheme. Living just 20-minutes from the firm’s Staffordshire headquarters, his role as a test and development engineer is to prove the machinery designed is fit for purpose and meets all the requirements of the necessary legislation. “I’ve enjoyed the opportunity to apply classroom theory to the real world. For me, the most challenging aspect of the apprenticeship was managing workload. Responsible for testing the bespoke JCB Pro Loadall, Will also had a hands-on role in its production. Looking forward Will is keen to develop in his current role and get more involved with the Loadall test and development process. To be in with a chance of winning this unique one-off Loadhall Agri Pro, watch out for further details during October from the Farmers Guardian (www.fginsight.com) and JCB (www.jcb.com).